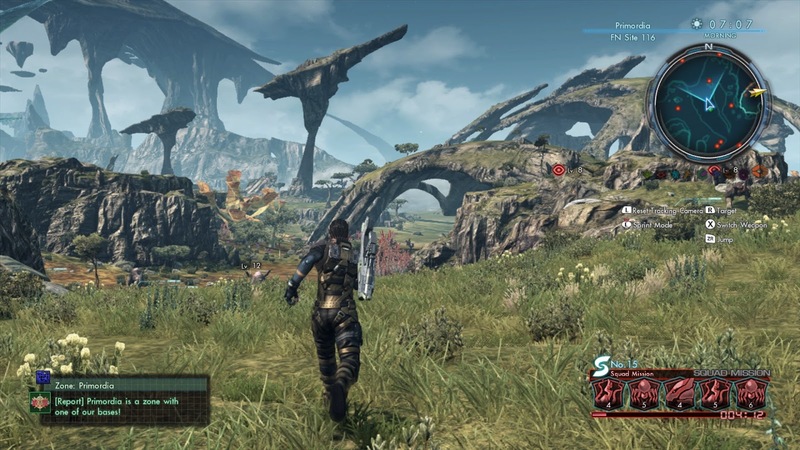 I've been watching Mini-Red #2 play Xenoblade Chronicles X on the Wii U, and all I can think of is that this should have been a better selling title than it was. Yes, the entire game is as beautiful as this. From time.com's review of the game. The world is vast, too, and the polish is closer to Blizzard standards than anything else. But.... The US version came out many months after the Japanese version came out, and rumors of the demise of the Wii U + speculation on the Switch helped kill the game. 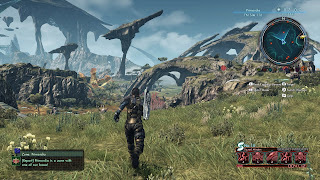 It's a shame, really, because if there was one Nintendo game that was built for an endless supply of MMO style expansions, Xenoblade Chronicles X is it. *The music reminds me of anime in that it's not traditional video game orchestral music but a blend of rock and pop, closer to K-Pop than regular rock. I'm coming a bit late to the story --okay, 11 days late-- but I read with great interest the work that Blizz is putting into WoW Classic. Coming from an IT background, I particularly found the file table formats a good example of what Blizz will need to do to get WoW Classic working properly. This removes artificial constraints put on the system by the data design, and allowed Blizz to be more dynamic and expansive in what individual items/spells/whatever could do. The kicker here is that Vanilla WoW used the old data structure while somewhere over the past decade plus WoW transformed into using the latter data structure. Blizz believes they can keep the latter data structure in place and simply utilize the old data, but after they convert the old structure into the current one. From a personal perspective, I think it's the smartest way going forward, since it fixes artificial limitations and allows WoW Classic to utilize the current game engine but deliver the Vanilla experience. Additionally, Blizz won't have to build an entirely new team just to handle the old data structures and the old engine, but just have a subteam off of the main infrastructure groups that make sure that any changes don't break the "converted" environment of WoW Classic. From an HR perspective, they keep the personnel costs down while they still remain committed to the additional work, and keep a stable interface in place for dev teams. Blizz is trying to minimize ripples in an ancient (by gaming standards) environment by utilizing a stable platform and just converting the data to something usable, but that conversion is the critical part. My first thought was you could build a Perl or Java script to convert the data into the format you need, but I'm sure that Blizz' example is one of the easiest parts of the data conversion process. My experience running QA on data set translation code for CAD/CAM tells me that the WoW Classic team will get a conversion done, but then need someone to sift through and manually check all. of. the. freaking. data. That is NOT going to be a fun task, but someone will have to do it. And I don't envy that person's task. Still, I'm heartened by the work that Blizz' WoW Classic team has put into the game, especially since they're likely in major crunch time leading up to the next WoW expac. One thing I do expect is that by the next BlizzCon, they'll likely have some in-game footage of how things are progressing with WoW Classic, and given Blizz' history, I expect them to remain silent on any release date until they get closer to something resembling an late stage Alpha. But it is happening, no doubt of that. *Bioware has had major issues like that with the development of both Dragon Age: Inquisition and Mass Effect: Andromeda with the Frostbyte engine. Frostbyte wasn't built for what Bioware wanted to do with it, so they had to create their own interface with Frostbyte. The problem was that the Frostbyte team was constantly breaking the interface whenever they would make changes to the engine. 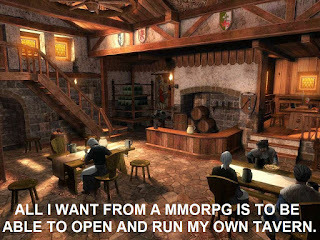 Yeah, I've been there, Bioware. SO been there. I have several blog posts in various states of completion, and you'd think that I'd just finish them off to get them posted. After all, none of them are time/date dependent, and it would be nice to get some of these posts just done and posted. But as you can guess, the answer to that is "Oh no, I couldn't possibly do that. I had to go write something else instead." A sword? A blaster? a lightsaber? 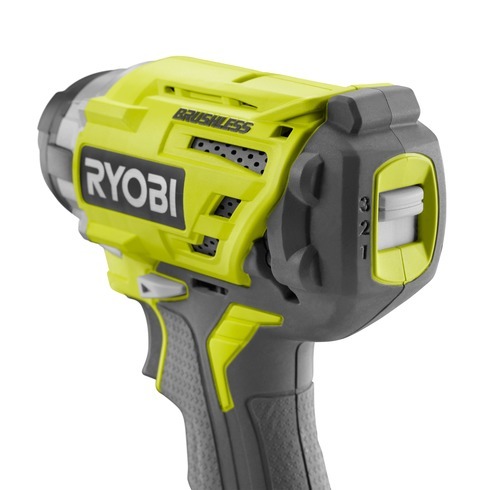 the Ryobi Brushless Motor Impact Driver. But in a bizarre set of circumstances, I've taken some of my spare dollars** and bought games on Steam, in spite of my a) lack of time to play games, and b) my current slew of games that ought to be completed. Because "shiny", I suppose. I have noticed that the main system is finally showing its age (6 years old) after the latest Windows 10 update in that graphics are taking longer to switch on screen in spite of the 1+ year old RX470 graphics card. I'm sure the old Intel i7 Ivy Bridge + 6 year old hard drive has something to do with that. The games I've bought, however, can easily still fit within my system parameters for the "recommended" settings, as they tend to be (at newest) a few years old. with, I picked up ESO on a Steam sale. 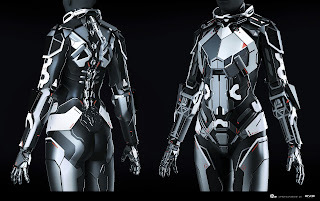 One thing that I've noted is that there really are very few SF or Space Fantasy MMOs out there. There's SWTOR, EVE Online, Star Trek Online, and Wildstar, and maybe Destiny/Destiny 2 if you squint hard enough and claim it's an MMO, but far and away the MMO genre of choice is Epic Fantasy or its cousin, Sword and Sorcery. So naturally, to balance out picking up ESO, I decided to download the game that I never said I'd be interested in, ever, and fire it up just to look at: EVE Online. I haven't actually done anything with EVE yet, simply because I've been trying to figure out the backstory for each racial option, but one thing did raise my eyebrows quite a bit: your body is "grown" as a clone in a similar manner as that found in Brave New World*** and your toon has interface holes in the back where you plug into your ship. I have to admit that this is a bit of a new twist on why you pilot your ship around without seeing your toon --see Star Trek Online for a different example-- and one that frankly gave me an uncomfortable feeling up and down my spine. 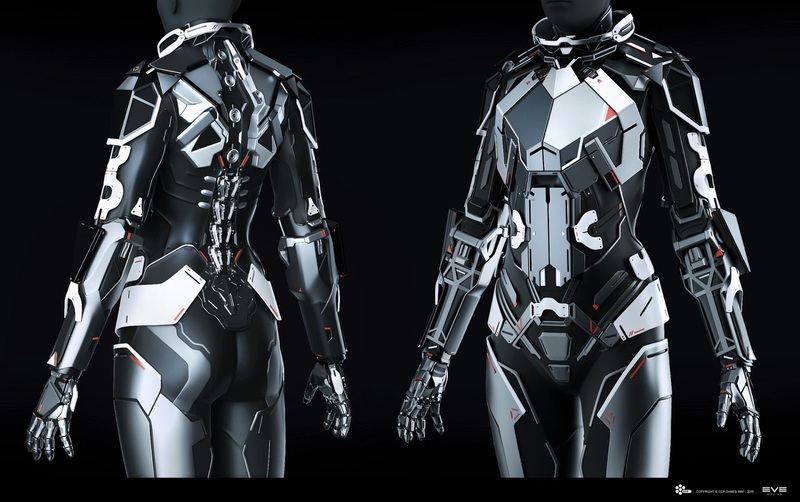 EVE Combat suit concept art by Andrei Cristea. connections that allow you to plug into your ship. those are of dead bodies in space. Beyond that, I've not done anything else with EVE --or ESO, or any of the other games, for that matter-- simply because I know that I won't have much time to play at once, so I've been sticking to games that don't require a huge chunk of time investment at once (such as running an instance or dungeon), and that I can stop at the drop of a hat. So here's to Summer, the (supposed) slow period of the calendar year! *I also thought I wouldn't be called on quite so much to be a personal taxi given that school is out of the summer, but it seems that things have actually gotten worse in that regard. Silly me. 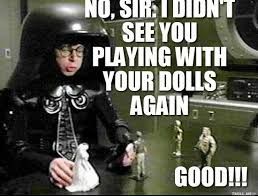 **No Gen Con this year again --due to school timing-- so any money saved for that has been freed up for a few games here and there. ***I wonder if Aldous Huxley gets a nod in the EVE wiki somewhere. ****Oh, I could have so much fun with this, utilizing Marxist language I've not used since a few university classes.